If you work in marketing for a nonprofit, these questions probably sound familiar. When you’re working on different initiatives, you want to give each its own look and feel — but you don’t want to lose your overall branding in the process. Keeping brand consistency across your nonprofit’s initiatives is critical; not only does it increase brand recognition and minimize confusion, but clarity and consistency also create a sense of trust with potential donors — and that trust drives donations. Consistent branding is a powerful thing — no matter how many initiatives you’re working on. According to recent studies, donations made on a branded donation page are, on average, 38% higher than donations made on a non-branded page, and donors are almost 70% more likely to make an additional donation if they used a branded page to make their original contribution. So, clearly, your branding is important. But how do you develop different initiatives while keeping your branding consistent? Your pillars are who you are as an organization; they’re your core values, your mission, your brand identity. And no matter what you’re creating — whether it’s a logo, a social media image, or a landing page — it needs to be in alignment with those pillars. Defining your pillars is step one to ensuring brand consistency; if you don’t know who you are or what defines your brand, how can you make sure the branding you’re developing is in line with your ultimate goals? Defining your brand pillars is a great first step, but it’s also vague. If you want to make sure your branding is consistent, you need to take it a step further and develop a brand style guide. Your brand style guide is the DNA of your organization; it outlines all the essential elements of your branding, like your brand color palette, fonts, tone and voice, and approved logos. It should also include information about your organization, your brand pillars, and your brand story. 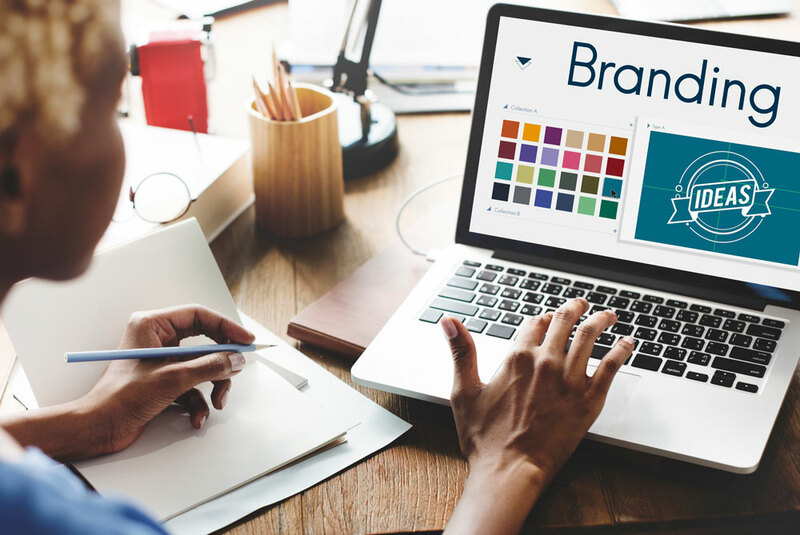 Your brand style guide is key because it gives everyone you work with on your branding — whether it’s an in-house designer or an outsourced team — a breakdown of your branding elements. It makes sure everyone is on the same page and that all of your initiatives follow the basic guidelines of your branding. Another great way to keep your branding consistent? Think two — or, in many cases, ten — steps ahead. When you’re developing an initiative, you always want to think about the future. For example, will you be launching this initiative in different countries? Are there any spin-off initiatives down the line? What’s next in the pipeline? The more you can plan ahead, the better equipped you’ll be to tie your current and future branding together; when you know what’s coming, you can start thinking about how to incorporate your current brand elements into your future initiatives. Now, we’ve been talking about how important it is to keep your branding consistent. But if your branding isn’t connecting with your potential donors, it doesn’t matter if it’s consistent — it will fall flat across all your initiatives. You want to keep your branding consistent across your different initiatives — but before you lock in that branding, you want to make sure it’s the right branding for your audience. And the best way to do that? When you’re setting up a new initiative, get feedback from your donors. Ask them the important questions about your branding. What do they think of your logo? How about your layout? Is there something about your design that makes them feel uneasy about donating? Or, if you don’t want to ask your users, you can set up user testing to get the data you need to make the best branding decisions. For example, let’s say you’re trying to figure out which colors work best. Set up an A/B test for two different color palettes and see which performs better. Or, if you’re trying to determine how to design a landing page, A/B test two different layouts and see which gets better results. Then, once you have the data on what’s working for your audience, take that and apply it across all your initiatives. The point is, you don’t want to get so attached to your branding that you can’t switch gears if things aren’t working. Be consistent, but be flexible. The more consistent you are with your branding across your nonprofit’s initiatives, the more connected your potential donors will feel to your brand — and the more excited they’ll be to get involved. So whatever you do — whether it’s something as simple as creating a Facebook graphic or something as complex as launching a completely new arm of your nonprofit — make sure you keep your branding consistent.